There are many apps in the Google Play Store that promise to block ads on Android smartphones and tablets, and get rid of annoying banners and pop ups, both in your browser and inside of games and apps. Some require rooting your device, which is not recommended if you want to keep your warranty or are not a technical person. The apps that don’t require rooting your Android smartphone or tablet and claim that they can block ads ether can’t block them (the usual case) or drain a ton of battery. Keep reading to find out how to block unwanted and annoying ads on your Android device, including the ones in ads. Best of all – you won’t have to pay anything for that! Connectify did some tests a while ago and we saw that nearly 60% of web resources on major websites are ads! This means that if a page takes 5 seconds to fully load, 3 seconds of that are only the ads. Now – think about the apps you’re using – how often do you see ads in them and how much time you waste being forced (or not) to watch them? Browser-based ad blockers (including Google Chrome) only take care of ads from websites, but what about the ads that are displayed within the apps you get from the Google Play Store? Ads are not displayed in appss for nothing; most apps monetize from ads, each time you click on an ad or register for a certain service. But still – how is it possible to get around and still block ads from apps on Android? It’s very simple: Connectify Hotspot allows you to turn any Windows laptop or PC into a Wi-Fi hotspot and share the Internet with your Android smartphone and tablet. 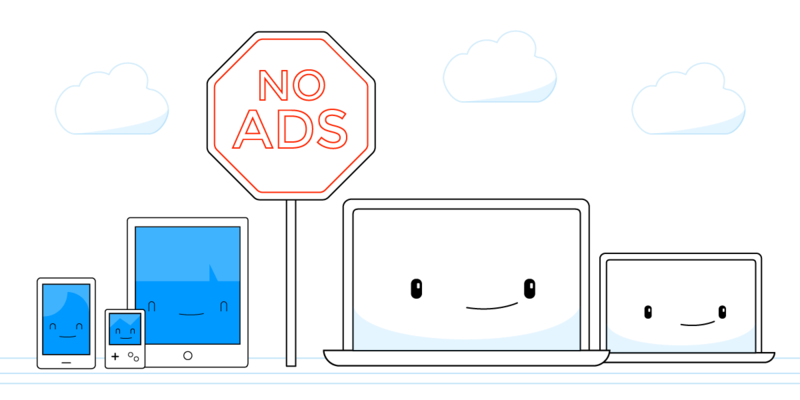 Along with that, it includes universal ad blocking capabilities at no extra cost, which will help devices connected to your hotspot surf the Internet without distractions from annoying ads as well as minimize page load times and save on data usage. So, all you have to do to block ads from Android apps is to connect your smartphone to your laptop’s Wi-Fi hotspot. It’s a win/win & win solution! To activate the ad blocking feature for the Android smartphones and tablets connecting to your hotspot, just make sure the “Ad Blocker” option is enabled in the “Firewall” section of Connectify Hotspot, when you start sharing the Internet with your devices. Why Block Ads on Android with the Connectify Hotspot Ad Blocker? Your Android smartphone and tablet will also go faster, as less memory and processing power will be required to load the missing ads. You will benefit from increased battery life on your Android devices thanks to a lighter load on their resources. Bottom line – if you want to get an ad-free Internet experience on your Android smartphone or tablet, get Connectify Hotspot for FREE on your laptop and share the Internet via Wi-Fi to your mobile device.